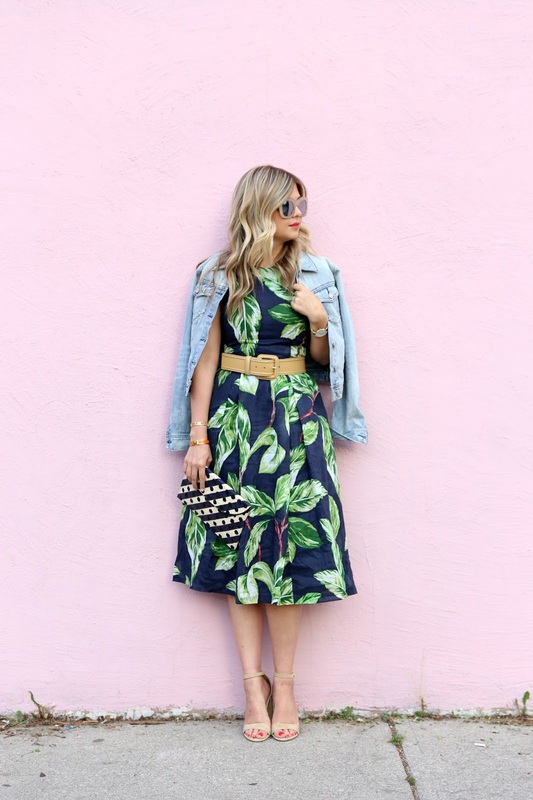 I don't care how many seasons go by, banana leaf print still gets me tickled pink for the warmer weather. This halter dress is no exception for summer 2016. I love that it's screened on a linen fabric for a breathable summer dress. Throw in some side pockets and consider me sold. If halter dresses aren't your thing, I'm also loving the skirt version in the same pattern. Everything is simply top notch about this outfit! It's such a cute and safari chic outfit! You are just too lovely! Ooo, love the mixed prints and adding the camel colored accessories was the perfect finishing touch! Those sunnies are amazing!! Such a great dress, and so comfy for summer! Happy Monday, lady! 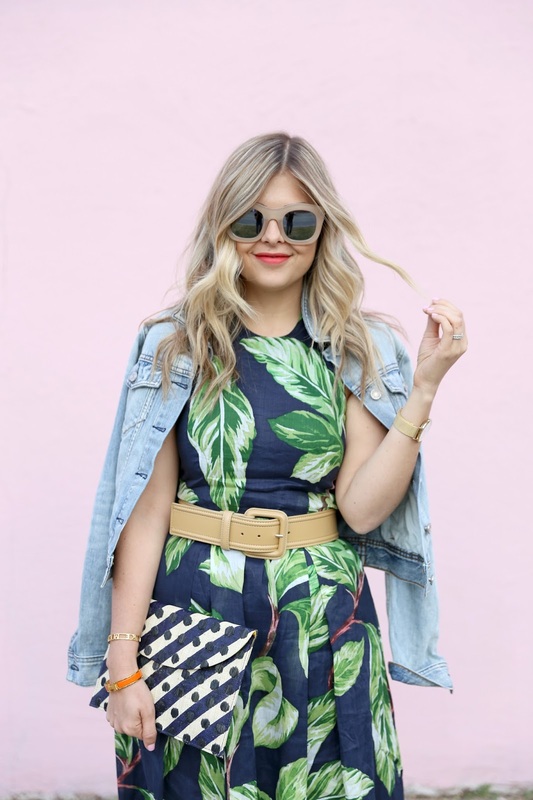 Leaves and exotic trees as prints truly sound summer !! Gorgeous look. Love the print! Beautiful dress <3 I like the belt and jacket with it. 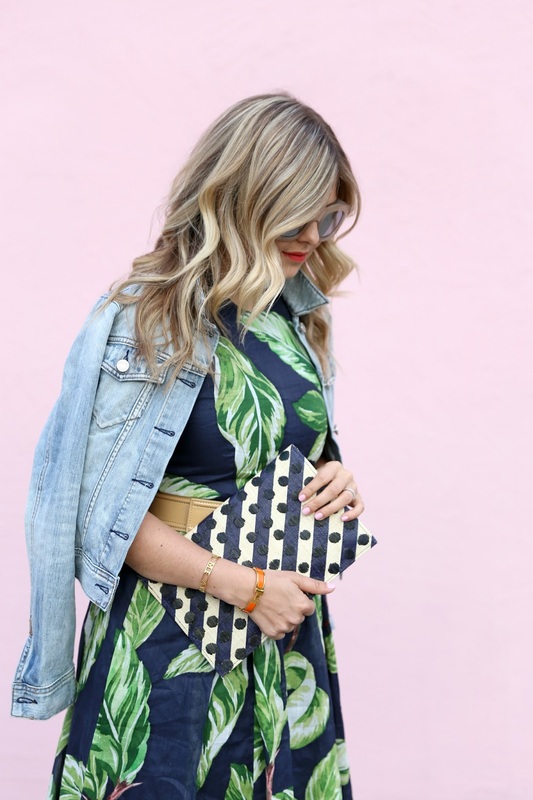 Palm prints are everything!!! I am so obsessed with this! I agree. 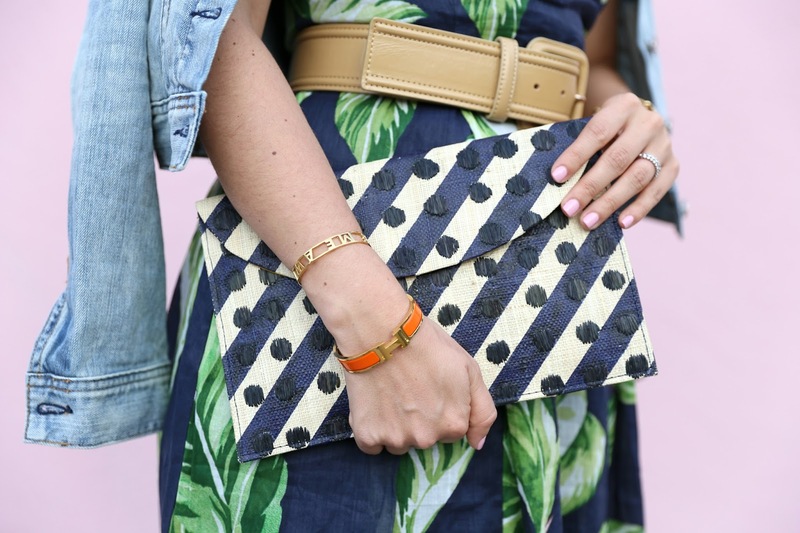 Palm Prints are the THING this summer. 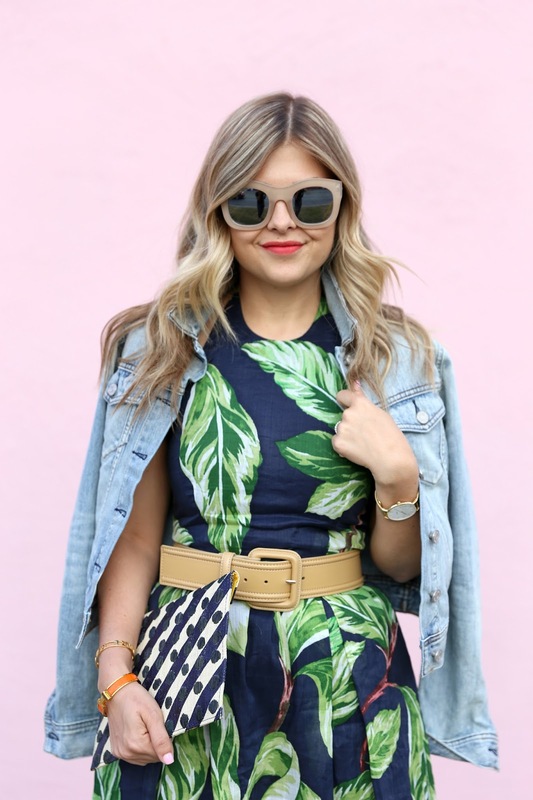 I need to get my hands on something palm print like right now! I LOVE this outfit! It's absolutely perfect!